Shares in Dean Foods tumbled yesterday (11 February) after the US dairy giant warned commodity prices would weigh on the business this year. The company's stock closed down more than 7% after it said the "consensus" among the dairy industry was for commodity prices to be "more challenging" than previously thought. In 2013, Dean Foods made earnings per share of US$0.86 on an adjusted basis. 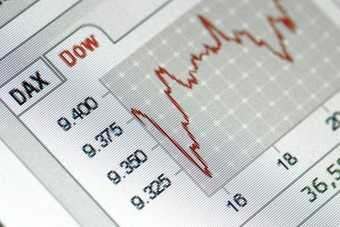 For 2014, it forecast a range of $0.73-0.86. "Current dairy commodity prices have moved near or beyond all-time highs despite strong global production growth. On our last earnings conference call, we expressed a view that raw milk prices would begin to fall in the early part of 2014, before moderating and rising slightly over the back half," CEO Gregg Tanner said. "However, since then, raw milk prices have risen sharply driven by global demand for imported dairy products. We now expect Class I dairy commodity prices to climb throughout the majority of the first half, before flattening and declining moderately in the second half of 2014." Dean Foods reported a fourth-quarter loss, made after costs from the retirement of debt and a jump in its income tax bill. The fourth-quarter loss totalled $37.7m, down from a profit last year of $28.1m. 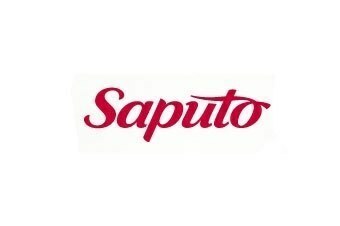 Annual net profit in the year to 31 December surged to $813m compared to $159m in 2012, boosted by the proceeds of the sale of its Morningstar Foods division to Saputo and the disposal of shares in WhiteWave Foods. However, annual operating income was down on lower sales as Dean Foods lost a milk contract with an unnamed "large retailer". 2013 operating income dropped to $131m, from $261m in the prior year. DALLAS, Feb. 11, 2014 /PRNewswire/ -- Dean Foods Company (NYSE: DF) today announced that the Company earned $8.58 per diluted share for the full year 2013, as compared to $1.70 per diluted share for the full year 2012. Full year 2013 reported results include the gain on disposition of WhiteWave common stock of $416 million, the gain on sale of Morningstar of $492 million (net of tax) and other one-time or non-recurring items, as more fully described in the attached tables. On an adjusted basis, the Company earned $0.86 per diluted share for the full year 2013, compared to $0.77 for the full year 2012. For the fourth quarter of 2013, the Company reported a loss from continuing operations attributable to Dean Foods of $0.40 per share, compared to fourth quarter 2012 income from continuing operations of $0.08 per share. The loss for the fourth quarter of 2013 includes a $63 million (net of tax) loss on the early retirement of debt, $10 million (net of tax) of restructuring charges, and other one-time or non-recurring items, as more fully described in the attached tables. On an adjusted basis, fourth quarter 2013 diluted earnings from continuing operations were $0.18 per share, compared to fourth quarter 2012 adjusted earnings of $0.23 per share. Fourth quarter 2013 operating income totaled $35 million, compared to fourth quarter 2012 operating income of $38 million. Fourth quarter 2013 adjusted operating income totaled $48 million, compared to $62 million in the year-ago period on an adjusted basis. Full year 2013 operating income totaled $131 million, compared to full year 2012 operating income of $261 million. Full year 2013 adjusted operating income totaled $228 million, compared to $256 million in the year ago period on an adjusted basis. 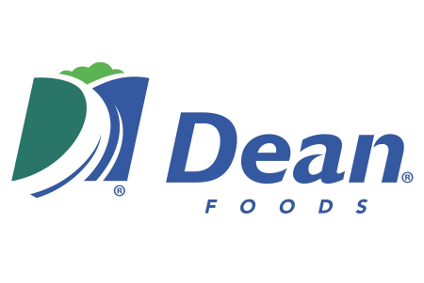 Net loss from continuing operations attributable to Dean Foods totaled $37 million for the fourth quarter of 2013, compared with $8 million in income the previous year. On an adjusted basis, fourth quarter net income from continuing operations attributable to Dean Foods totaled $17 million, compared with $21 million in the previous year. Net income attributable to Dean Foods totaled $813 million for the full year 2013, compared with $159 million in the previous year. On an adjusted basis, net income for the full year 2013 totaled $82 million, compared to $72 million in 2012. "We continue to feel confident in our long-term trajectory," said Gregg Tanner, Chief Executive Officer of Dean Foods. "In 2013, Dean Foodssuccessfully transformed itself, generating more than $2 billion in shareholder value, substantially deleveraging the company, and focusing the company on its core dairy business. At the same time, we faced significant challenges in the inflationary commodity environment and through competitive pressures on our business. This very challenging environment will persist for Dean Foods, particularly during the first half of 2014, but we are confident that we have the right strategies in place to drive meaningful productivity savings and top line volume growth through the balance of the year." 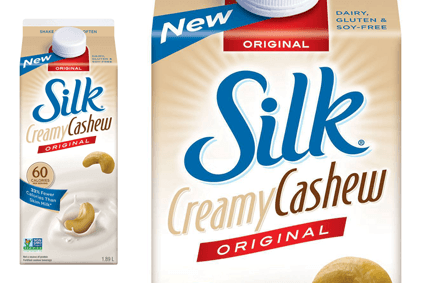 Dean Foods' share of U.S. fluid milk sales volume increased to 35.7 percent during the fourth quarter of 2013 from 34.9 percent in the third quarter of 2013. 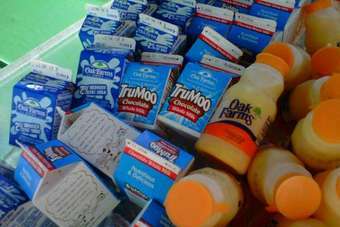 Industry fluid milk volumes declined approximately 2.2 percent year-over-year in the fourth quarter on an unadjusted basis, based on USDA data and company estimates. Due to the previously disclosed loss of business at a large retailer, Dean Foods' unadjusted fluid milk volumes declined 9 percent on a year-over-year basis. Excluding the previously announced loss of business at a major customer and another customer's decision to vertically integrate its dairy operations last year, Dean Foods' milk volumes declined 0.6 percent in the fourth quarter of 2013, significantly better than the overall category and an improvement from last quarter's comparable 1.7 percent decline. Total volumes across all products declined 8 percent from the year ago period to 699 million gallons in the fourth quarter of 2013. The Company continued to make solid progress against its cost savings targets including the planned closure of eight to twelve (10-15 percent) of its manufacturing facilities by mid-2014. The Company has closed 8 plants and announced a 9th since its accelerated cost reduction initiatives began in the fourth quarter of 2012. The fourth quarter 2013 average Class I Mover, a measure of raw milk costs, was $19.92 per hundred-weight, a 2 percent decline from the fourth quarter of 2012, and 5 percent above the third quarter 2013 level. Consolidated net cash used in continuing operations for the twelve months ended December 31, 2013 totaled $331 million. Free cash flow from continuing operations, which is defined as net cash provided by or used in continuing operations less capital expenditures, was an outflow of$506 million for the twelve months ended December 31, 2013. Negative cash flow was driven primarily by non-recurring items, most of which were associated with strategic separation activities, including the payment of approximately $420 million of taxes related to the Morningstardivestiture, $31 million related to the impact of moving WhiteWave and Morningstar accounts receivable from intercompany to third party transactions, and $32 million of transaction costs, as well as a $19 million litigation settlement payment in the second quarter. On an adjusted basis, which excludes these, and certain other items, Dean Foods generated $60 million in free cash flow for the twelve months endedDecember 31, 2013. A reconciliation between net cash used in continuing operations and adjusted free cash flow provided by continuing operations is provided in the tables below. Total debt at December 31, 2013, net of $17 million cash on hand, was approximately $881 million. On an all cash netted basis, the Company's leverage ratio was 2.21 times funded net debt to EBITDA at the end of 2013. "Turning to our forward outlook, there are several broad themes that are expected to drive business results and our earnings progression this year," continued Tanner. "First, the consensus view of the dairy commodity outlook for 2014 appears to be more challenging than previously expected as current dairy commodity prices have moved near or beyond all-time highs despite strong global production growth. On our last earnings conference call, we expressed a view that raw milk prices would begin to fall in the early part of 2014, before moderating and rising slightly over the back half. However, since then, raw milk prices have risen sharply driven by global demand for imported dairy products. We now expect Class I dairy commodity prices to climb throughout the majority of the first half, before flattening and declining moderately in the second half of 2014. "Second, the RFP driven volume losses and the associated margin pressures we experienced occurred primarily late in the second quarter and early third quarter of 2013 resulting in very tough first half 2014 overlaps. "Third, because overall 2013 performance was meaningfully below our plan, we significantly underpaid our 2013 bonus targets. Our 2014 guidance assumes we will pay short term incentive at targeted levels. This higher level of incentive compensation is expected to be a drag on our financial performance in 2014. "Finally, the fluid milk category finished the year with industry volumes down 2.2 percent in the fourth quarter and we continue to keep a watchful eye on the impacts associated with higher dairy commodity prices and the recent reduction in Supplemental Nutrition Assistance Program, or SNAP benefits. We are hopeful that our new volume wins, and increasing share gains, will partially offset the asset deleverage soft category volumes create; however soft volumes, coupled with inflation, can negate some of the impact of our cost reduction efforts, and makes it harder to take those savings to the bottom line. "On the plus side, we continue to have a robust cost reduction effort in place. We are working to offset both commodity and non-commodity related inflation through a combination of cost reductions and price realization. That said, we are clearly beginning the year behind commodity inflation in the first quarter given the rapid rise in Class I prices to all-time highs. In order to mitigate soft volumes, we have won new business that should continue to come on line late in the first quarter and we are continuing to execute against our plant closure initiatives in order to increase efficiencies within our existing network. "Taking all of these factors into account, we expect full year adjusted diluted earnings of $0.73 to $0.86 per share. 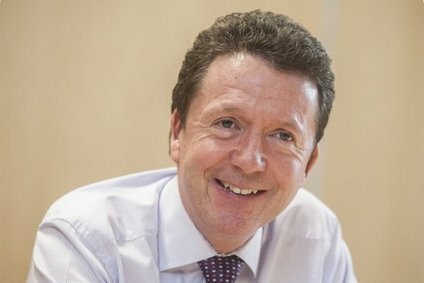 "We expect the first half of 2014 to be particularly difficult as we battle the RFP driven volume losses and the associated margin pressures we experienced primarily late in the second quarter and early third quarter of 2013. We will not fully lap these impacts until the second half of the year, which will make for a very tough first half comparison, particularly in Q1. We expect our first quarter will be our most difficult quarter of this year as we chase the current all-time high Class I commodity environment, overlap the full brunt of the RFP driven volume losses and margin pressures, and continue to work through the transitory costs associated with our accelerated plant closure agenda. All in, we expect first quarter adjusted diluted earnings per share to be approximately break-even with three cents of potential risk or benefit implied. We expect our performance to improve throughout the year as we adjust to offset inflation, volume from new business flows into the system and our cost reduction initiatives continue to gain momentum."